Funny fact- if you’re traveling to Western Australia you’re not allowed to take fresh berries and nuts across the border! 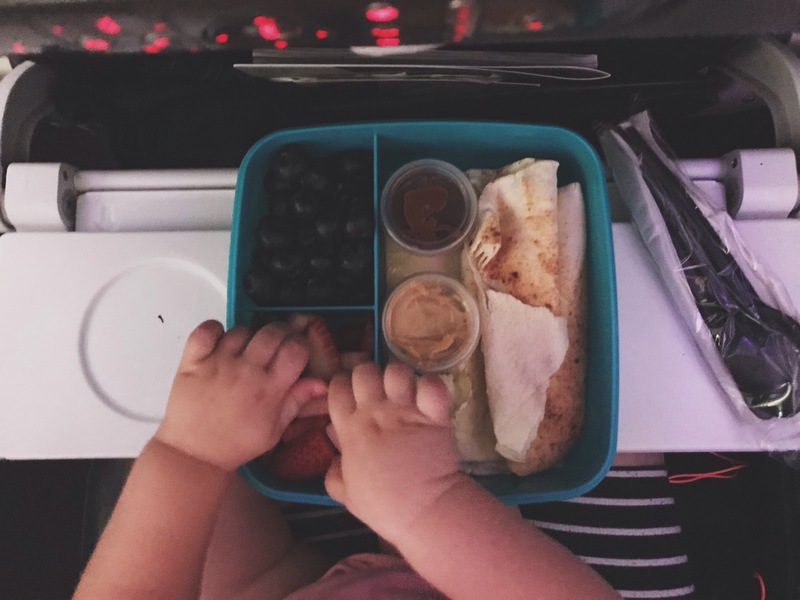 Anyways, I had some strawberries and blueberries to keep her busy for a few minutes, Lebanese bread because it doesn’t create as many crumbs as slice bread or toast, some spreads (I packed peanut butter and Nutella), slice cheese and lastly a fruit pouch (not pictured). The volume is super soft/controlled. Perfect for little ears. The cord length was a bit too long and so it would get tangled easily. A retractable cord would be fantastic! Overall I’d say it was a great and cheap investment. We’ll keep practicing in the next few weeks to help her adjust! Netflix- major “pro” here- you can download tv shows and movies for offline watching! We downloaded some dog movies as Ava is obsessed with dogs, as well as shows she likes like Alvin and the Chipmunks. ABC iView- These can’t be downloaded offline, but they are great time wasters for the airport. Kids Youtube- A great time waster for the airport with cleaner ads and videos. iBooks- There are great kids’ books on this app. I remember having a Toy Story book which was an audio and visual book with moving parts. My niece used to love it! Fruit ninja- Ava is captivated by this game! It improves fine motor skills as well as keeps her entertained for a few minutes. The game has really bright fruit that fills the screen which is great for kids, she also gets permission to touch the screen a thousand times.. and it helps with fine motor skills as she has to track the fruit as they fly into the air- this is a major thumbs up from us.